It's very common to talk about raising student achievement. After all, this is where we see gaps. Doing poorly on an assignment or failing a test denotes "poor achievement" and stands out to teachers, parents and society. We naturally want to fix student achievement. But here's the twist: The achievement gap is not the root problem, and we hurt our students and ourselves by focusing on it. More than half of all fourth graders are not proficient in math, and the disparity among groups is alarming -- 54% of white students and 64% of Asian/Pacific Islanders are proficient in math, compared to 18% of blacks and 26% of Hispanics, according to the Nation's Report Card. 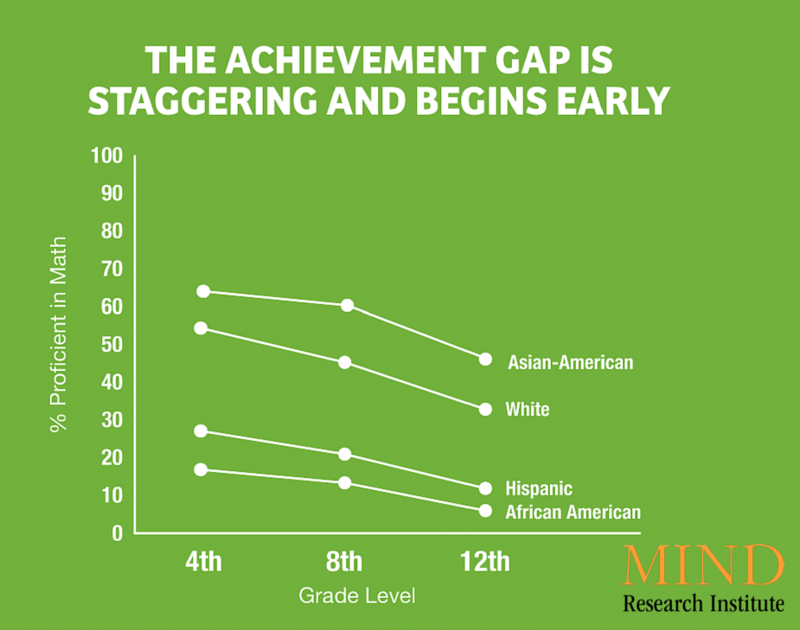 The gap widens as students progress through school. The achievement gap is just a symptom of a bigger problem... a dissonance between the rich mathematical experiences students should have and what they actually have. This is what I've started calling the "experience gap." For example, when we teach children division with fractions, we have them memorize "Ours not to reason why ... just invert and multiply!" We don't ask kids to understand the why and how this works -- we discourage them from even thinking about it. 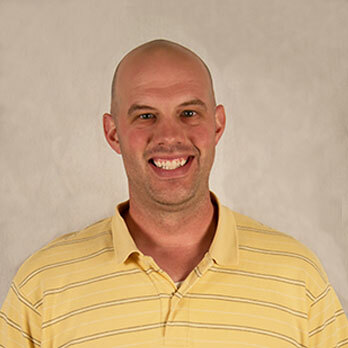 Our intentions are good, but we're focusing on the wrong thing, and it's hurting students. If students can flip and multiply, they can pass the test -- the standard sign of academic achievement. Our worry over the achievement gap puts students into narrow contexts of thought full of vast, isolated content and speedy tricks. Unlike the cereal, tricks aren't for kids. What keeps me so excited about my role at MIND Research Institute is that we carve out a path if there isn't one already in place. We are doing exactly this with the experience gap. Great experiences have tricky problems, twists we didn't see coming, and structure that we can find if we look. Great experiences put faith in mathematics and in people. 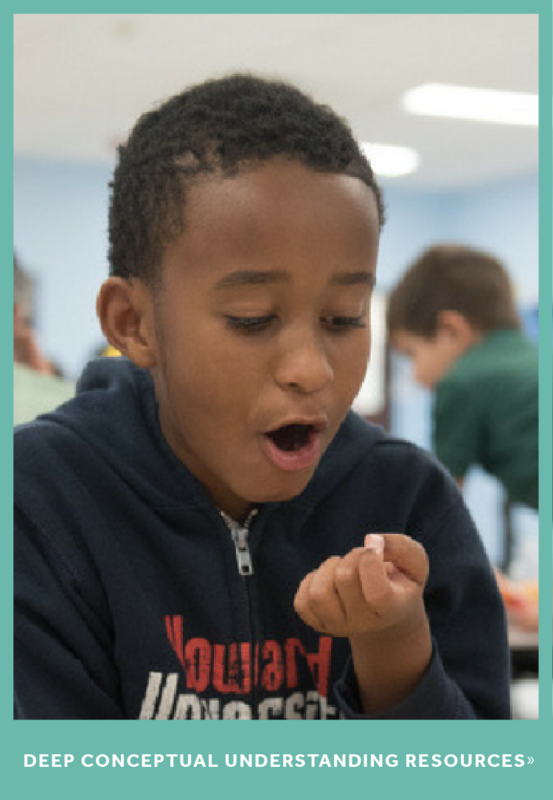 A great experience is a chance to play with mathematics -- with authentic mathematics where learning happens. We need to give students rich opportunities to learn by doing rather than static observation or rote memorization of rules. A fourth grader uses highschool level math concepts as she "plays math" at a MIND Research Institute Family Math Night. Play With Math? Why Not? We play basketball, we play football, we play checkers. We even play mathematics-like strategy games such as chess. But we never "play math." The achievement gap is primarily concerned with doing math. The experience gap is interested in playing math. Like any sport, to play it you must learn about it and practice. You must persist and overcome adversity. You must operate within its rules. Playing math is no different. A legitimate mathematical experience is rich, deep and challenging -- that's what makes it so engaging. A simple example. 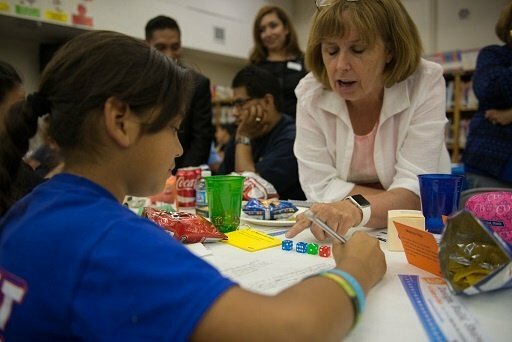 I recently helped organize a Family Math Night at a local school where we spent an evening playing with dice and letting students freely engage with a variety of math concepts. One fourth grader rolled four die and wondered how many four-digit numbers she could make out of the numbers she had rolled. She started writing 3,456; 3,546; 6,543 and so on. She worked and talked through the problem for more than 20 minutes, ultimately solving a high school-level combinatorics concept about permutations. She would never have done this if we were only focused on achievement gaps -- this concept isn't even tested in her grade. But the experience in problem solving, perseverance and self-confidence she gained that night was invaluable. She did this because she was interested in the question, not because we had to raise her test scores. Never underestimate the power of an interesting question. We need to revolutionize math perceptions if we want to close the experience gap and eliminate its most evident symptom: the achievement gap. The good news is that we can make such experiences available to people of all levels, not just the already high-achievers. At MIND Research Institute, we are doing exactly this with our national movement, MathMINDs. As we focus on great experiences that keep their mathematical integrity, people can and will rise above their "expected" achievement level and surprise us. 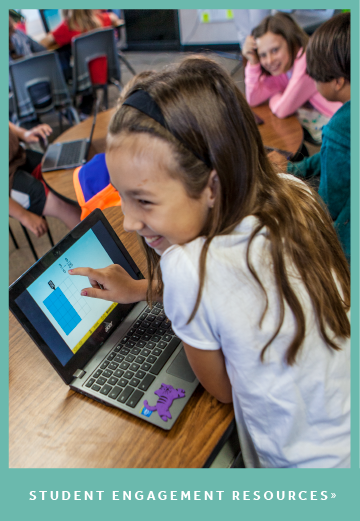 MathMINDs creates environments through math fairs, math camps, math nights and more, where students and families discover they are capable problem-solvers in a mathematical world. One great example open to all students is our national K-12 Game-a-thon. In the Game-a-thon, the students are the ones designing the experiences they want to play. You would be surprised at how creative and persistent students can be when given an opportunity to play with and think about math. One of the Game-a-thon challengers from 2014, Jemma, offered this advice to this year's participants, "Try to add a different perspective to your game so it will intrigue others. Be ambitious, confident and try to do what no one else will do." She just might be a future MIND employee. A mathematical experience should have a mathematical component to it that is fascinating. A mathematical experience must be mentally engaging and mentally interactive. Flashy games are engaging for a moment, but learning quickly flees because there’s little mental interaction. Where’s the math in that? We need to be activating students’ minds and creating environments and experiences that keep them in the productive struggle of thinking and learning. A math experience should be fun because of how naturally and wholly it gets the user to this place and how viscerally the mathematics can be grasped. Learn more about how you can get involved and join MIND's mission.